It’s been a while since I played a Ninja Turtles game. Platinum has been doing a good job with their titles and they are well known for their combat mechanics so this definitely looked like a fun adventure. Reviews have not been kind to it, but this is definitely a solid game. It may not be quite as polished as their Transformers title or Bayonetta, but it’s definitely still a solid game. Platinum leaves their signature combat mechanics and level of difficulty on this title so don’t expect it to be a walk in the park. The Turtles are called back into action when their old villains start to make some moves. Alien Invasions, Bank Robberies, and more things occur as the villains continue their onslaught of attacks. What is their goal and are these just distractions? The turtles will have to stay on their toes if they don’t want to be caught off guard, but can they really hope to defeat the Shredder? The plot is fairly standard for the TMNT and it doesn’t go for anything grand, but it’s possible that it’s meant to feel like a normal episode. To an extent, that’s what Platinum seems to do for their retro games. While the gameplay is fairly intricate, I don’t think it’s all that good. The way that the buttons are configured does take quite a bit of time to get used to. You may have beaten the game by then so I suppose it could be useful for the second run through. R2 is to block and evade while attacking is with the SQ button. You can also throw shruiken with L1 although that is really never necessary. It is good for getting some trophies like blowing up cameras though. It’s just very difficult to utilize the blocking button on instinct with how quick the villains strike and how odd of a button it is. I’d prefer for blocking to be R1, but you can possibly switch that somewhere. You do have quite a few options for attacking though and a lot of ninjutsu can be purchased. I personally liked Stealth Mode, Combo Attack, Super Shruiken, and Healing Circle for my set. You can have 4 at a time. Charms can also be equipped, but they didn’t make much of a noticeable difference. I may just need to buy better ones. You can switch between turtles at any time and you only lose a level if all 4 of them are defeated at once. In that case, you are taken back to the lair to eat some pizza and recharge your strength before going back to the level. For most levels, you are taken back to the exact point of time in which you died, but some bosses regain their full health. It seems to depend on the level. There are a lot of collectibles and trophies so obtain so there is a solid amount of replay value here. That’s definitely a good thing because the campaign isn’t all that long. It’s around 4 hours, which is quickly becoming the average for games nowadays. That, or maybe games were always that short and I never noticed. Maybe that’s why people love RPGs so much. If nothing else, they’re always long, but I gotta admit that turn based gameplay can also be a real blast as well. Seriously, I love grinding those level ups. There are over 50 trophies so it should take you a while to collect them all. I only got 11 of them while beating the game. Most of them aren’t hard though, but simply rely on repetition. Play the levels again and again enough times and you’ll earn most of them. For example, one of them is saving 10 pizza trucks. I maybe saved one during the whole game. It’s partially chance that you end up getting that mission which is what makes it a little tricky. I’m not a huge fan of that and some trophies are tricky and may require online help from other players. It’s a doable Platinum, but not an easy one by any means. As per usual, Platinum hits us with a great soundtrack. The rock themes are always a blast to have even if it seemed like the game started to reuse them a little after a while. It’s fine, I’ll still take this over 70% of boss fights in the average games. A good theme can go a long way. That being said, the actual boss fights could be a little annoying at times. I feel like the bosses had too much health and our attacks didn’t deal enough damage. It could take quite a while to take some bosses down and I can only imagine what it’s like on Hard Mode since they gain even more health on that difficulty. Each level isn’t all that long with the boss taking the most time, but it does hurt the replay value of the level a little. Especially with the annoying bosses like Wingnut. Graphically the game looks good. There is only 1-2 day-time levels though so the graphics usually have it a little easy in the dark. It’s not as impressive as Transformers Devastation by any means, but it certainly doesn’t look bad. The graphics will suffice. Whether it was a glitch or not, a funny thing occurred during the final level though. The game actually replayed an old cutscene in its entirety. For a second there I thought I had clicked on the wrong level, but nope, it still ended up being in the right place. So…what’s up with that? It wasn’t a particularly good cutscene either which was unfortunate. They reuse a lot of gags in the story mode even though it’s fairly short. For example, Michelangelo always wanting pizza. The turtles should be used to it, but they still act a little surprised and reprimand him each time. I mean, the Turtles are known for this and it’s supposed to be nostalgic I suppose, but this definitely wasn’t my favorite portrayal of them. Leonardo definitely looked the best as he was down to business and had a plan each time. Splinter isn’t quite as good as he seems rather nervous the whole time and subtly recommends retreating for a little while. Seeing Shredder actually be a lackey for once was also rather interesting. Krang’s the boss this time eh? He’s certainly moving up the ranks and if he also calls the shots in the new live action film, maybe he will eventually replace Shredder in that role completely. I tried going to the online mode, but nobody was online. That’s not a good sign considering how new the game is, but I may have just missed everyone. The online mode is basically a way to play the game co-op, so I imagine there is not a whole lot of incentive for people to do that besides the trophies. Local Co-Op should have been a thing. This isn’t bad if you have a friend who is far away, but it’s definitely not optimal. I suppose TMNT fans will still be thrilled that the series finally has a new game. Granted, it wasn’t amazing, but this game is still a big improvement from games like De Blob and maybe it’ll get a sequel at some point. 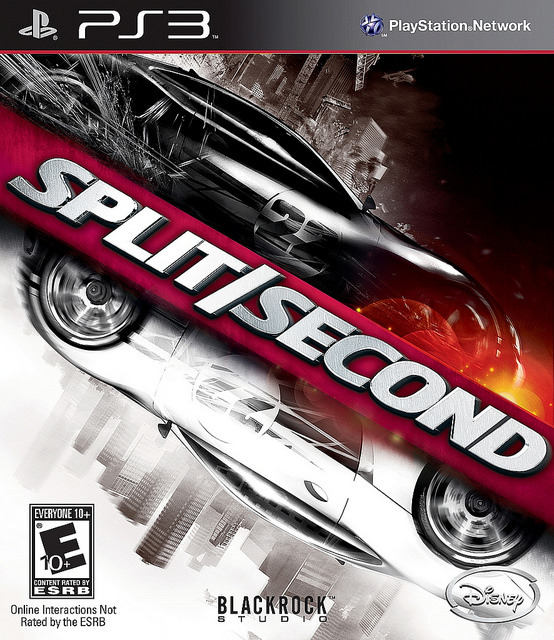 Platinum doesn’t really do sequels very often, but you never know. Honestly, I’d probably say that this game does lose to the rest of the TMNT games that I’ve played except for the PSP title. They’re all fairly close, but the Gamecube game was just a little more fun and the plot was certainly a lot more intense. Being related to the 2003 show helped quite a bit as well. It just shows that the series sets the bar rather high though. Transformers is also held at a high level, but each game tends to be roughly equivalent to the rest. Likewise with TMNT, but in the end its weak plot and less likable characters hurt it a bit. 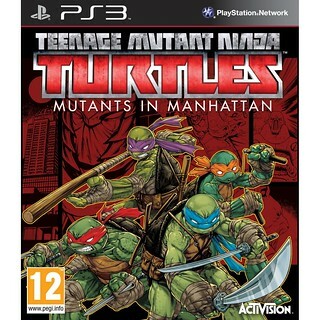 Overall, This is a solid TMNT game, but not one that I’d really recommend for 60 dollars. There’s not enough content here to justify the price, but once it goes down then I’d definitely recommend snagging it. It’s essentially a beat em up with today’s graphics and that’s always fun. In the end, the plot may not have been great, but the most important part is still the gameplay and that’s solid. There are a lot of attacks to mess around with and for those who like difficult games, you’ll get a kick out of this. I lost quite a few times, but luckily the other turtles would revive me. I only had my full team lose twice, but if you don’t adapt and block a lot, prepare for that total to go up quite a bit. Ratchet and Clank is finally back with their next installment! The time trilogy effectively ended here, but little did we know that another one would come out soon. No worries, I’ll certainly be buying that one soon. I do own Ratchet and Clank All 4 One so you can expect me to start that one at some point, but I shall be switching consoles to work on another game for now. Ratchet and Clank is one of those franchises that has never had a bad game. My least favorite would be Secret Agent Clank and that was still a solid title. The series has been getting better and better as it consistently gets 8 stars from me nowadays. The last game ended with Clank being kidnapped and Ratchet vowing to find his little sidekick. Ratchet is forced to work alongside Captain Qwark and he also meets a fellow Lombax who still lives. The Lombax wants to use the legendary clock of time to alter the past and save Ratchet’s family. Meanwhile, Clank is now the ruler of the clock and he learns how to manipulate time. The problem is that the clock is not meant to alter past or future events so Clank needs to make sure that nobody uses it to affect the past or future. That includes Dr. Nefarious, who wants to spread destruction and chaos throughout the timestream. All of the players are getting ready to make their moves so there is a lot on the line this time. As always, Ratchet and Clank is a blast and a half to play. One of the main reasons why it is an all star title is because you can simply plug and play at any time. The plot is engaging enough to keep you on the edge of your seat, but also simple enough that you can take a 6 month break and still understand what is happening. The only part of the game that can be considered a little dull is the Clank segments, but we still get some witty burns from the side characters. Manipulating time is also really fun and that never gets old. The graphics look very good and you can immediately tell that this is a PS3 level game. The developers really put in their best effort as the gameplay and cutscenes easily hold up well. Everything is colorful and vibrant, which is great since you are typically in high tech areas or in space. It’s like Sony’s version of the Mario Galaxy titles. The soundtrack is a little more on the forgetful side. I can’t say that any of the themes really stood out to me and you’ll likely forget them very quickly. That’s probably the game’s only real weak point and at least none of the tracks are actually bad. Ratchet is still a great main character. He’s heroic with a good personality as he doesn’t back down for any opponent. I expected him to be a little more upset at the guy who tried to destroy him, but Ratchet really didn’t want to have to destroy the fellow. I wonder if Ratchet’s father will ever appear or if he is truly lost to the cosmos. Only time will tell I suppose. Clank’s a nice sidekick and he’s a good character. I’ve never been crazy about him compared to the other sidekicks, but I’ve grown to like his sense of humor a little more and he made the right decision at the end of the game. You certainly couldn’t ask for a more loyal partner and seeing as how he beats Bentley, Murray, and Daxter, he really is the best sidekick in this area. I wouldn’t mind if Clank got another game to himself. Captain Qwark is also a fun guy to have around. He’s a superhero and he is legitimately tough as he destroys many opponents with his physical strength. He just has a bad habit of overrating himself and Qwark loves to be in the spotlight. Deep down, he’s a good guy and his joking just masks that. He’s still one of the best characters in the series and I would really miss his banter if he was gone. Qwark may not always be on the side of justice, but he helped save the universe in this game and we won’t be forgetting that anytime soon. Azimuth is a new character for the game and he really hits it off with Ratchet. The lombax’s design is very similar to Kratos, which is cool. He even acts a little like the guy as he is always ready for a fight and is a fierce general. The game implies that he is almost as skilled as Ratchet and maybe even a little more. I like to think that Ratchet would win in a fight though. You will likely find this guy suspicious from the start, but his team ups with Ratchet were a lot of fun. Finally, we had another fighter on our side! The main villain was Lord Nefarious and his butler was around as well. Nefarious seems to be one of the more popular Ratchet and Clank villains. I can’t say that he’s one of the better ones for me, but he is a robot so at least he can fight on his own without throwing minions at you or hiding. Nefarious can fire energy blasts and he does come very close to destroying the universe. He even captures Ratchet and the others at one point, which is no small feat. He has a habit of shorting out and then a video will play, but that’s why Nefarious has his butler! The butler can be a little defiant at times, but he still seems loyal in the long run. As for the gameplay, it’s your standard third person shooter. The series has a lot of experience with it so it runs very smoothly. There aren’t many games that can hold a candle to it in this style. You get a large variety of guns that you can use by the end and each one works a little differently. I mostly loved the rockets, mini bombs, and my trusty blaster. You can also use your wrench to fight. It’s a little riskier, but it does a lot of damage as a result. If you have faith in your speed, I say go for it! The gameplay is very fast paced and exciting so you should certainly enjoy it a lot. As for replay value, the game has a lot of that. There are the trophies to unlock of course and there are many collectibles to conquer along the way. There are multiple tournaments to complete and even a Challenge Mode to conquer once you have wrapped up the game once. The story mode will likely take you around 5-6 hours to complete, but the replay value should at least triple that although I’d expect around 20-25 hours unless you manage to take everything down on your first shot. That’s a reasonable length and the game is so fun that it would be worth the purchase even without the replay value. Finally, another big reason as to why Ratchet and Clank is so good is due to the writing. We’re talking 5 stars here as the writing is dynamite. The characters are all rather clever. They don’t talk constantly during gameplay like in the Spider Man games, but they really get to shine in the cutscenes. I think it’s safe to say that the video game series wouldn’t be nearly as legendary without the great script that is always present. Overall, I highly recommend purchasing this game. 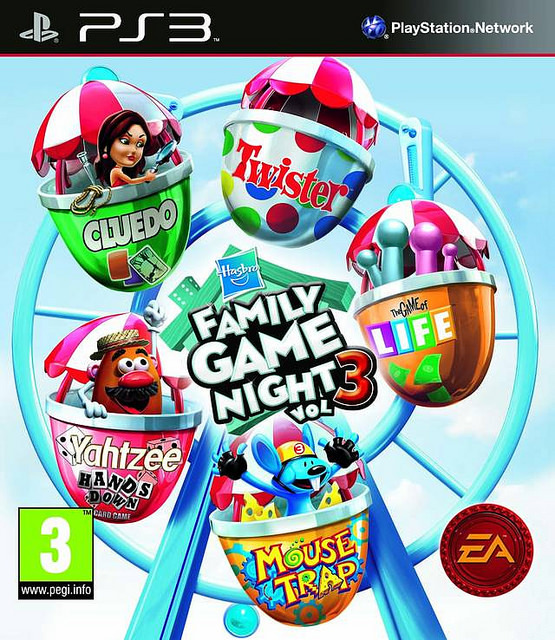 Whether you are new to the franchise or already own the other games, this is a title that you do not want to miss. It is a complete video game that has everything that you could possibly want. The graphics are stunning and the gameplay is some of the best in the video game world. I could easily play the game over again given how much fun it is. Someday, I will to get the Platinum trophy in this game, but it’ll likely be a long while until then. 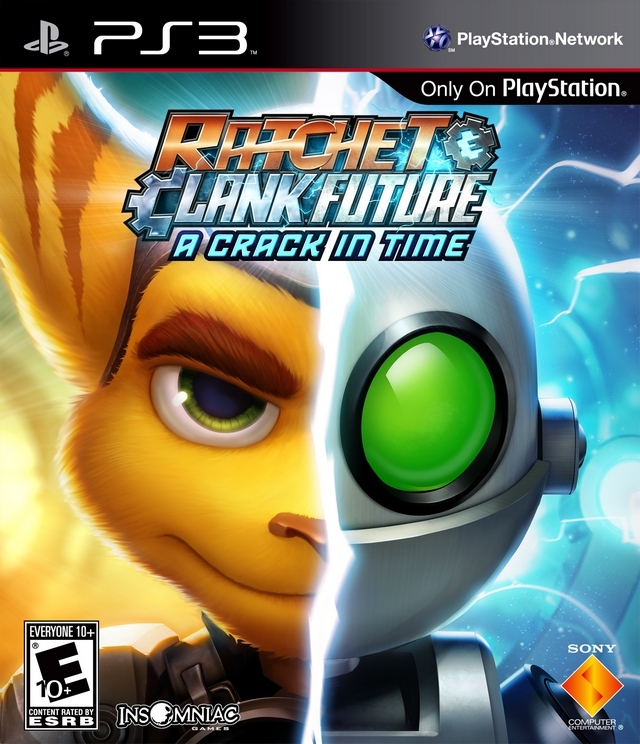 The next game is going to have a very tough time beating this title, but we should never underestimate Ratchet and Clank. My stats in the game! The rest of the stats only cover my online appearances.